DREAMING ABOUT THE RV LIFESTYLE? 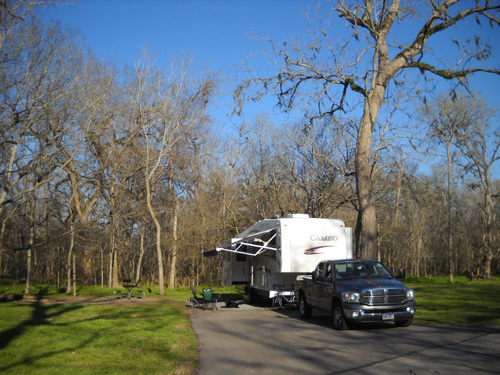 In this entry I'll talk about the various types of recreational vehicles, how to choose one for the kind of TV lifestyle you are considering, and the reasons for our decision to travel and live in a 5th-wheel coach on an almost full-time basis. I use the term "RVing" in a broad sense that includes traveling in all types of motorized and towable rigs from pop-up tent campers to bus-like Class A motorhomes. All of them provide mobile living quarters -- they are literally "rolling residences." Motorhomes, which combine a motor vehicle chassis and living quarters in one unit, include Class A, B, and C rigs (L-R in diagrams below). 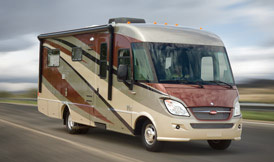 Full-timers often choose a Class A or C motorhome for their convenience, features, and interior space. They appear to be the most expensive RVs -- until you realize that you need a motorized vehicle to tow all the other types of campers! Sometimes it's hard to tell the difference between a Class B and a Class C motorhome. Both are built on a van chassis but the Class C typically has a sleeping area over the cab. To confuse things even further, at least one manufacturer has a new, short Class A motorhome (Winnebago Via, shown below) built on a Sprinter chassis that looks like an longer-than-usual Class B. The Mercedes-built Sprinter chassis has pretty much revolutionized the motorhome industry in recent years. A variety of RV manufacturers now offer more fuel-efficient diesel Class As, Bs, and Cs. Note that the picture of the Class B van in the middle is too large in proportion to the Class A on the left and Class C on the right. Some bus-like Class As are 45 feet long. Class Cs are usually shorter than As but almost always longer than the van-like Bs. These pictures are also out of proportion, with the two on the right being too large in comparison to the two on the left. Trailers and 5th-wheels typically stretch from about 20 to 40 feet. 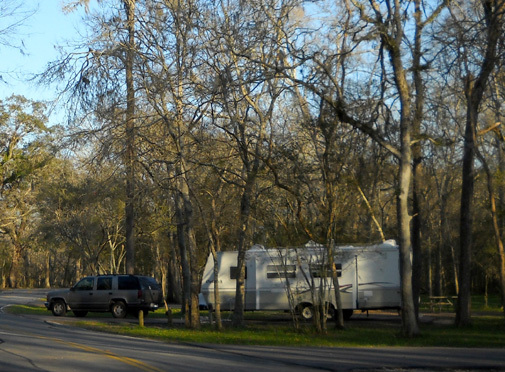 Depending on their size, some travel trailers and pop-ups can be pulled by a truck, SUV, van, or car. These units hitch to the tow vehicle's bumper. We've even seen some tiny pop-ups that can be towed by a motorcycle. You need a pick-up truck to haul a 5th-wheel coach or truck camper. Fifth-wheels attach to a large hitch in the bed of the truck. Note that all or most of these recreational vehicles can be called by several names: RV, camper, rig, coach, unit, and probably some more I can't think of right now. I'll be using all of them in this series. I went into excruciating detail about purchasing an RV in a series I wrote early last year. Check out the 2010 journal for those entries. The next section focuses more on choosing the best type of RV if you plan to travel and live in it full-time or for extended periods of time. WHAT TYPE OF RV IS BEST FOR ME? Figuring that out can be fun if you have a laid-back Type B personality. If you're too O-C about it, you might just drive yourself nuts! There are many considerations, including cost to purchase and operate the unit, how much space you need/want, and what you want your RV lifestyle to be. 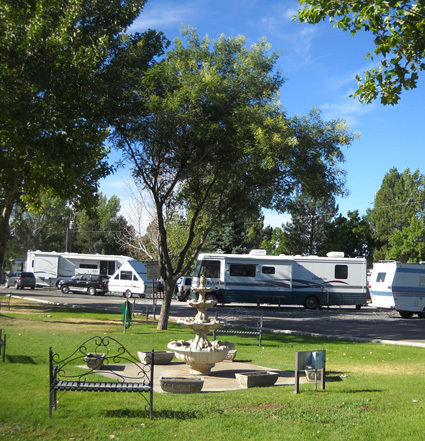 Keep in mind that the smaller the RV, the more places you can park it and probably the better your fuel mileage will be. The downside is lack of space in the smaller units. Let's start with the smallest RVs in size and work up to larger ones. We don't know anyone who lives for extended periods of time in a pop-up tent camper, even ones with solid and not canvas sides. Some people might do this but it's too primitive for most. Truck camper tops don't have wheels per se; they slide onto the bed of pick-ups. With some effort, the camper top can be removed at the campsite and used on its own, with the truck detached. Although Jim and I can't imagine spending much time in one of those, we've known several retired runners who travel all over the country to marathons and ultras in them. I think most of the men still have a home base but they are driving to and from races the majority of the time. Some have done the 50 States & DC marathon/ultra circuit in one year and/or multiple times over a number of years. I personally think it'd be a recipe for disaster if two people tried to live in one of those for any length of time! YMMV. L - R: Class B, Class C (I think), and truck camper. They belong to ultra running friends of ours. We know several couples and individuals who are quite content to travel around in rather small Class B (van-like) and Class C motorhomes, however. Most of these units do not have slide-outs that can be opened while parked to give more interior space. WYSIWYG. One of the better known couples is prolific 100-miler Hans-Dieter Weisshaar and his wife Susi. Although they own houses in both Germany and Mexico, Hans has spent considerable time traveling to races all around the U.S. during the past decade, often accompanied by Susi and their dog in an older German-made Class C motorhome they shipped over here in the early 2000s. It's the small van-like RV shown in the middle above. Many Class Cs are larger than this one. Another one of our friends purchased a very nice used Class B Airstream motorhome based on the Sprinter chassis a couple of years ago. It's the van on the left in the photo above. He enjoys traveling in it so much that he sold his house last year and RVs full time in it now. Many folks who full-time need/want more space than that and purchase larger Class A and C motorhomes, travel trailers, and 5th-wheels. 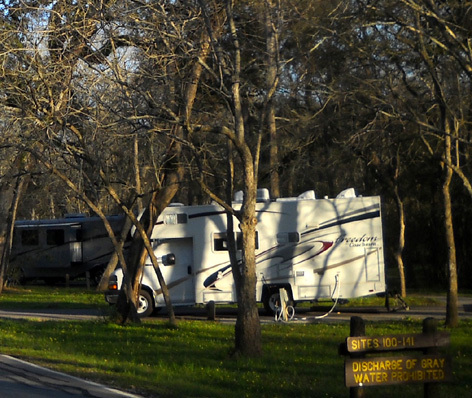 Class As and Cs can be even longer than that and are often seen with a "toad" behind them (smaller, more fuel-efficient towed vehicle to drive when the motorhome is parked at a campground). I was invited into the Dynamax shown above for a tour. I loved the attractive interior, which "lives" as large as many Class As -- and is more expensive than many of them. I noted, however, that it didn't have as much room as our old 34-foot HitchHiker 5th-wheel with three slides! Our Cameo is two feet longer and has three slides that are bigger than the HitchHiker -- at a much lower cost, even with the cost of a tow vehicle. Many of these larger RVs have one to five slide-outs to offer additional living space. Materials used to construct them can range from quite basic to very luxurious -- with price tags to match. Some motorhomes end up costing more than sticks-and-bricks houses. In fact, in the most depressed housing markets right now, there are many "real" houses that cost less than most new Class A and C rigs! An average Class A coach can run you over $200,000, a luxury one well over $600,000. Their "toads" are usually Jeeps so they can drive around the multitude of 4WD roads in the area. One younger couple we know who still work at least part of the year to earn income to maintain their active lifestyle (ultra and adventure races) have a "toy hauler" in which they live. We've also heard of some people who've turned the storage space of toy haulers into work space (office, workshop, etc.). 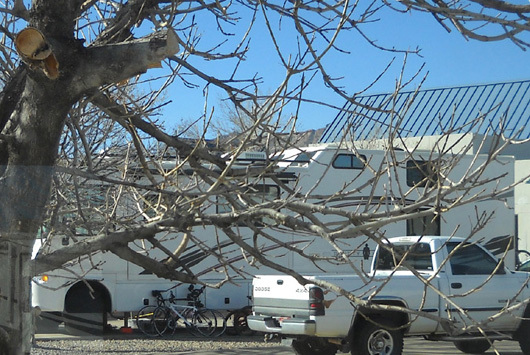 More and more people are finding a way to make a living while traveling in their RV. If you've never had an RV you'll have to start from scratch in your research for a suitable rig. You're miles ahead, so to speak, if you've already had some experience with one or more of the types of campers and have a better idea of their advantages and disadvantages. So much depends on your budget, your space requirements, and how you want to travel and live in your RV. If you'll be traveling by yourself, you don't need as much space as a couple with two big dogs, for example. 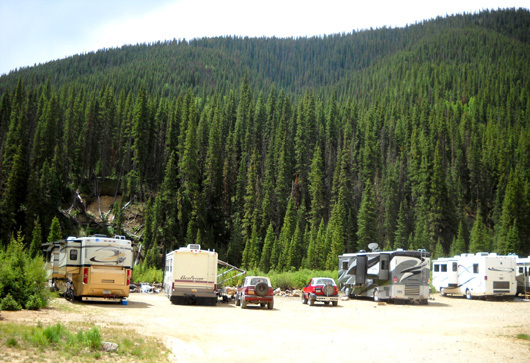 If you want to fit into just about any campsite out there, particularly little ones in public campgrounds or at trailheads, you'll need a smaller rig. If you love to cook and want to prepare meals like you make in your house, you'll need a kitchen with adequate counter/storage space and appliances (refrigerator, range, oven, microwave). If you want the convenience of moving from the passenger seat to the bathroom in transit without getting out of your RV, or you don't want the bother of hooking/unhooking from a tow vehicle, you'll want a motorhome instead of a trailer or 5th-wheel. 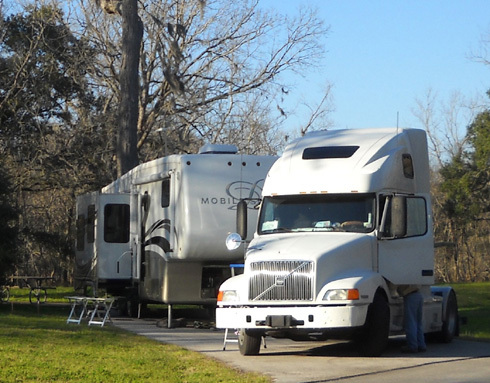 Those are just a few examples of some of the decisions that should be made prior to choosing a particular type or model of RV for extended use. I guarantee you the consequences are greater the more time you plan to live in it! I'm going to open a can of worms here . . .
From what I've read, it appears that full-timers are pretty evenly split between owning motorhomes (especially Class As) and 5th-wheel coaches. Each has advantages and disadvantages. 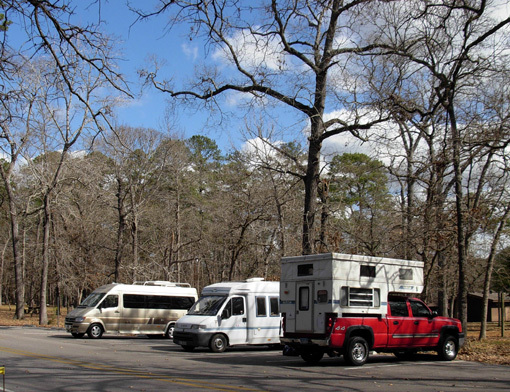 Your task is to figure out which type of RV will suit you the best. Good luck! 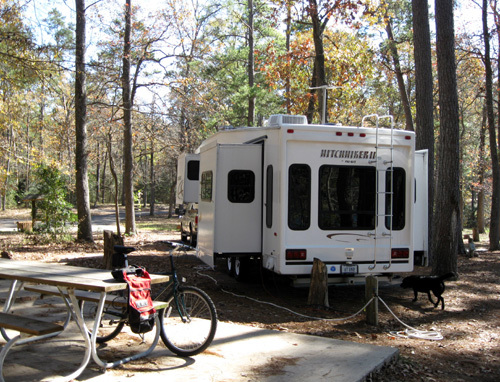 Most folks we know who are living in Class A, B, or C motorhomes wouldn't trade them for a 5th-wheel. 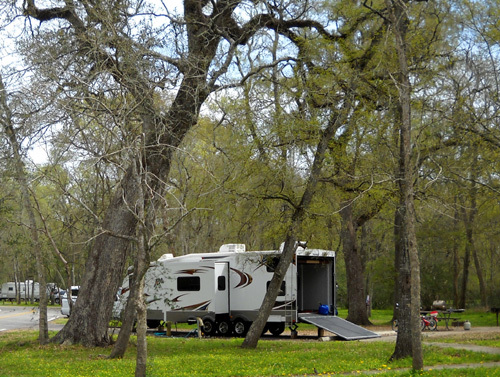 Most people we know who are full-timing in 5th-wheels wouldn't trade them for a motorhome. Neither Jim nor I have ever owned a motorhome so we can't speak as knowledgeably as people who have traveled and lived extensively in them. 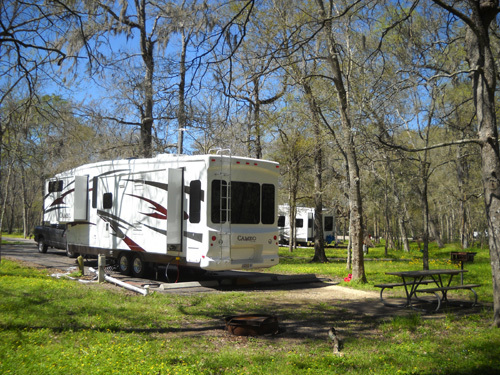 Over the years we have gradually gotten larger and larger towable campers to accommodate our lifestyle. The last three were 5th-wheel coaches of 27 feet, then 34 feet (we thought until a few days before trading it in that it was only 32! ), and now 36 feet long. The advantage of the larger models is more comfort. The disadvantages are more weight to haul, lower fuel mileage, higher costs in general, and fewer options of where to park. Each time we've knowingly chosen comfort over all that! After all this time, we know ourselves pretty well. We'd be miserable constantly tripping over each other or our dog(s), having inadequate space in the kitchen or bathroom, or being scrunched against the walls in the bedroom. When we traded our 34-foot NuWa HitchHikerII 5th-wheel a year ago we purchased a new 36-foot Carriage Cameo 5th-wheel coach. (See five-part series starting January 29, 2010.) Even though we aren't technically full-timing yet we worked hard to find a sturdier, better insulated -- and yes, more comfortable -- camper because we want to use it eight to nine months of the year and aspire to be full-timers. We didn't realize until we were looking for the new rig that only two companies at that time warranted their fivers for full-time use. That came as a surprise to us; we verified that information and focused on products made only by those two companies: Carriage, Inc. and DRV. of our 5th-wheel, and another 12-foot slide-out on the door side ; that one is deeper (three feet). The dry weight of the Cameo is about 2,000 pounds heavier than the old HitchHiker but our fuel mileage hasn't significantly deteriorated. One reason is that we started driving slower when we got the Cameo, usually 60 MPH now on freeways instead of 65-70. That makes a big difference. We also try to carry less weight in the camper, particularly less fresh, grey, or black water in our tanks when we're in transit (only enough for the nights we'll be boondocking somewhere like WalMart) and fewer heavy items like canned goods (we wait until we get to our next destination to buy what we need for a few days). We average 11-12 MPG in mountainous terrain and up to 14-15 MPG on flatter ground -- especially heading back east, which is more downhill and with a prevailing tailwind! That's not too terrible for a camper that weighs 14,000 to 15,000 pounds loaded. I don't know if Jim and I will ever get a Class A or Class C motorhome (Bs are too small for us). They are considerably more expensive, don't offer any more living area (usually less) than what we have, and require a different "toad" than what we already own. In our opinion, well-built 5th-wheel coaches have the most room and features for the money. Most satisfied motorhome owners will quibble with that, however. You have to figure out what's best for you. Do plenty of research if you haven't already purchased an RV to accommodate your intended lifestyle. Check out the series of entries I wrote last January, search the internet for other buying tips, go look at all the different categories of rigs at RV shows and dealerships, learn as much as you can about different features, investigate the companies whose products you prefer, and maybe rent one or more types of campers for short trips to see how they drive and "live." It can be a long process to find what you want at an affordable price but everything you learn along the way will help you select the right RV for you. Next topic in this series: endless camping options -- how in the world do we figure out where to stay? ?